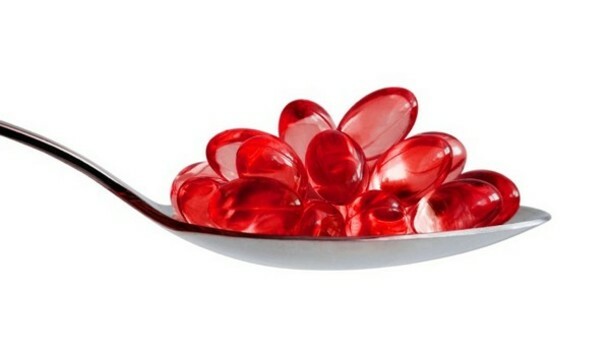 Krill oil and fish oil are loaded with omega-3 fatty acids, which your body cannot produce on its own. Both DHA and EPA are essential fatty acids and are only available in certain foods. DHA is vital for your nervous system and offers anti-inflammatory benefits as well. It improves insulin sensitivity, makes you feel better about your body, promotes muscle growth, and helps you sleep better. A comparison of krill oil vs. fish oil will tell you that they both contain omega-3 fatty acids EPA and DHA. How do you determine which one is better? Are there any differences between the both? While you can find omega-3 fatty acids in krill oil as well as fish oil, there are certain differences between the two. Here is more about krill oil vs. fish oil. Usually harvested in the Antarctic Ocean, krill are small crustacean creatures usually used to feed fish. Supplement companies have started harvesting krill in large quantities to get krill oil. It contains omega-3 fatty acids, which is the reason why krill oil is now among the most popular dietary supplements. Omega-3s found in krill oil are bound in a phospholipid structure, which means that your body can absorb them easily. The oil has a reddish color, which is mainly due to the presence of a natural antioxidant called "astaxanthin". Extracted from the tissue of mackerel, salmon, and other oily fish, fish oil is also rich in omega-3 fatty acids. There is a difference in the quantity of omega-3s present in marine and freshwater fish. It is quite interesting to know that the fish cannot produce omega-3s but accumulates them by consuming algae and other smaller fish that may have them. The omega-3s from fish oil are attached to triglycerides. Both oils have omega-3s, but a comparison of krill oil and fish oil will help determine which one to choose. Absorption: In krill oil, omega-3s are in the form of double-chain phospholipids. The fats inside human cell walls are also in the same format, which is the reason why your body can absorb krill oil more efficiently. Environmental sustainability: Studies show that krill has the largest biomass on earth – it is about 170 million to 740 million tons. It means that harvesting of krill is a better choice because there are more krill than fish. Moreover, there is no real threat to the over-harvesting of krill. Toxicity: Experts are of the view that krill oil is less likely to have toxins such as PCBs, mercury, and many other toxic metals, especially compared to fish oil. Some studies have also confirmed that krill oils may contain "intermediate" levels of POP contaminants compared to many other products. Antioxidant: One of many benefits of krill oil is that it contains the carotenoid Astaxanthin. It is important to mention though that a capsule of fish oil contains only 0.5mg of Astaxanthin, which is not much by any means. 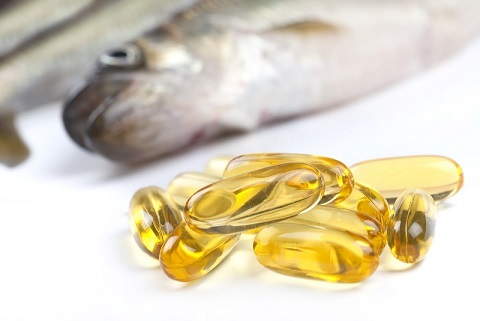 High omega-3 content: The overall amount of omega-3s found in fish oil is higher than the amount found in krill oil. Even if you select the finest quality krill oil supplements, you may only get 300mg of combined EPA and DHA per serving. However, the lowest grade fish oil may contain double the amount of omega-3s found in krill oil. It means that people who just want to increase their omega-3 intake will be better off going for fish oil. Scientifically supported: While krill oil offers many benefits, more research is still required to confirm most of its benefits. This is not the case with fish oil, which is scientifically supported. Numerous studies confirm that fish oil is extremely beneficial for reducing depression, triglycerides, and the risk for heart disease. It is quite tempting to try the newest supplement, even when there is insufficient research to support its benefits. The same is the case with krill oil supplements. There are reasons to like krill oil, and it may become the real big thing in the near future as more studies confirm its benefits. But at present, fish oil seems to be a safer and more effective choice. The best thing is to get all your nutrients needs through your diet, but that is not always possible. You may never eat fish when you follow a vegan or vegetarian diet. Your doctor may ask you to avoid eating cold-water fish when you are pregnant or nursing because the fish may be contaminated with mercury and other toxins. It is, therefore, the best idea to talk to your doctor about taking fish oil or krill oil supplement. They can help you decide which one is better in your case and how much to take. You may not want to take any of these supplements if you have a serious medical condition, such as heart disease, diabetes, or a blood-clotting disorder. Both supplements can interact with anti-coagulation medications and increase their effects. Moreover, you should avoid taking krill oil supplement if you are allergic to shellfish or seafood; otherwise, you may have to deal with cross-reactions. Is Lean Cuisine Good for You? Is Liver Good for You?